What's the best way to be happy? Part of the show Will Machines Take Over the World? Number 1) relationships. 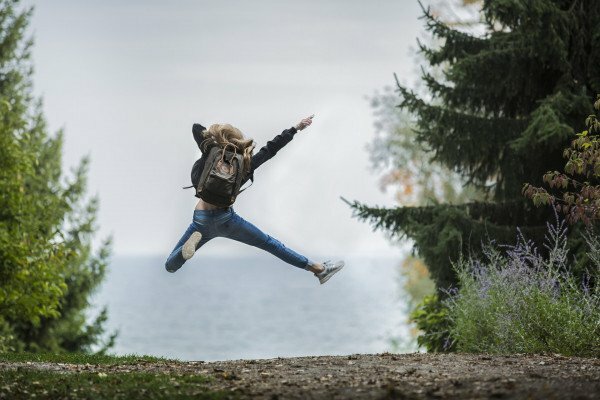 One of the longest running studies on happiness, done by Harvard, shows that contrary to what most people’s goals are today, which a lot of surveys are asking young people what their goal in life is, and it is to become famous and wealthy. It is not these that make us happy rather, it is having strong and supportive relationships. Number 2) just going for a walk. Being in nature makes you more creative and just resets your system. Olivia - Yeah, I know. It’s really relaxing and just improves your wellbeing and just makes you feel happier. Previous Are there any single-cell organisms that eat multi-cellular organisms? Next Why is our circadian rhythm not 24 hours? Can Nature Clean up Nuclear Contamination?